Of course while in Lisbon, I also took some time to go look for records. I didn´t find any of the stuff that is featured on the three volumes of the Portuguese Nuggets compilation LP series that Marcos had at his appartement. No cool Portuguese 60´s beat, surf or garage rock. What I found was fado, a very Portuguese type of music that mostly sounds like a lot of whining and moaning. But that´s just on the surface, fado songs can be about anything. I like a little fun in my fado, so I picked the records with the funniest sleeves. She was already 63 years old, when she recorded these Yé Yé songs. 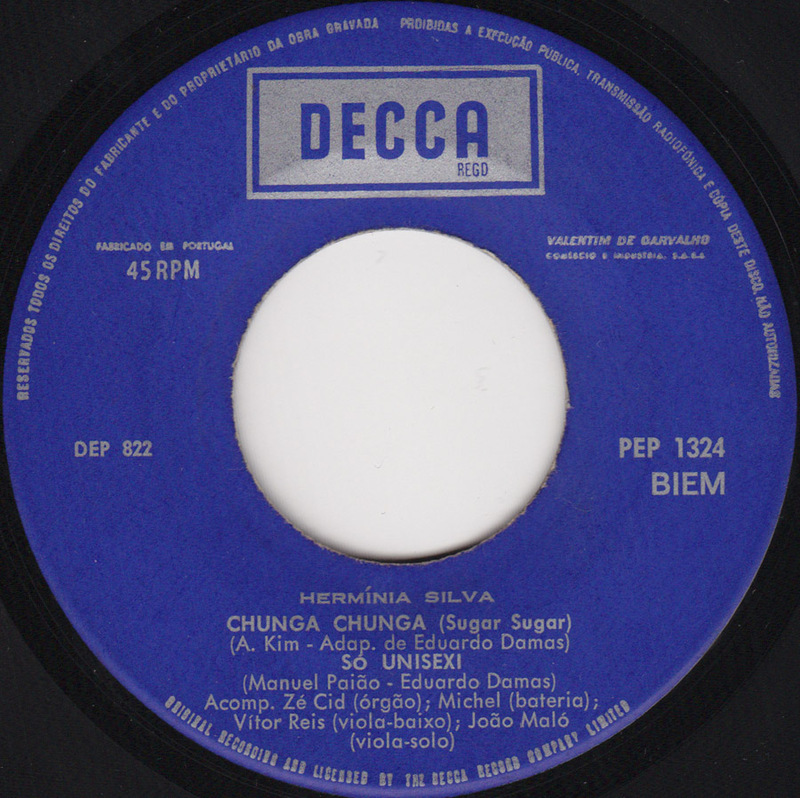 Chunga Chunga is a cover version of Sugar Sugar by the Archies. 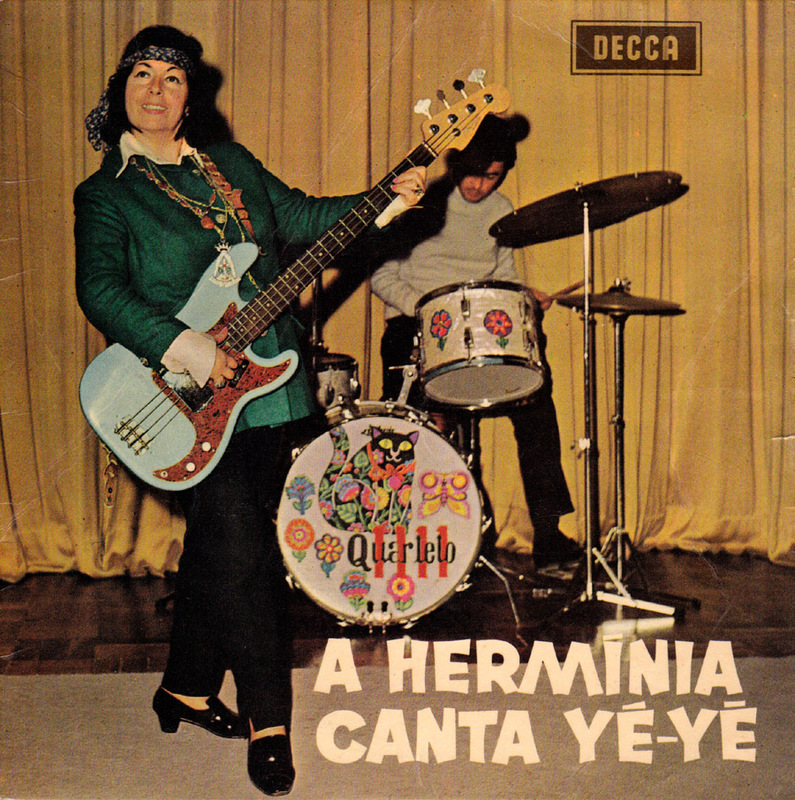 Hermínia is making fun of the young hippy generation while still being sympathetic to them. I hope I´ll be as cool and funny as she was when I´m her age. 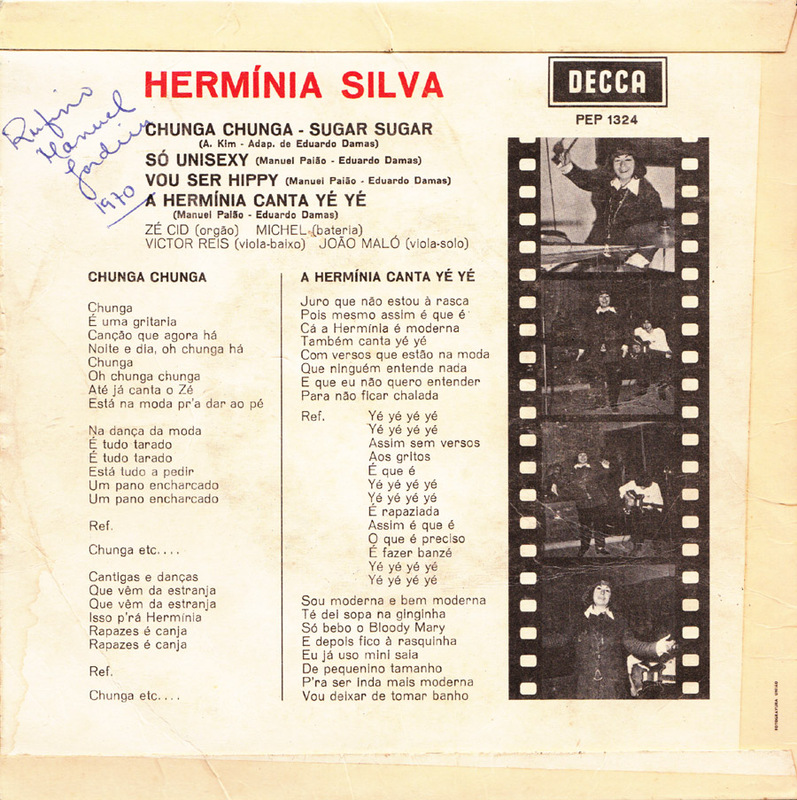 Hermínia died in 1993.
i’ve been looking for these files 4 ever! Hello, very interesting site. I’d really like to obtain the files to the songs posted for this artist but the links are missing. Any chance you can fix this?